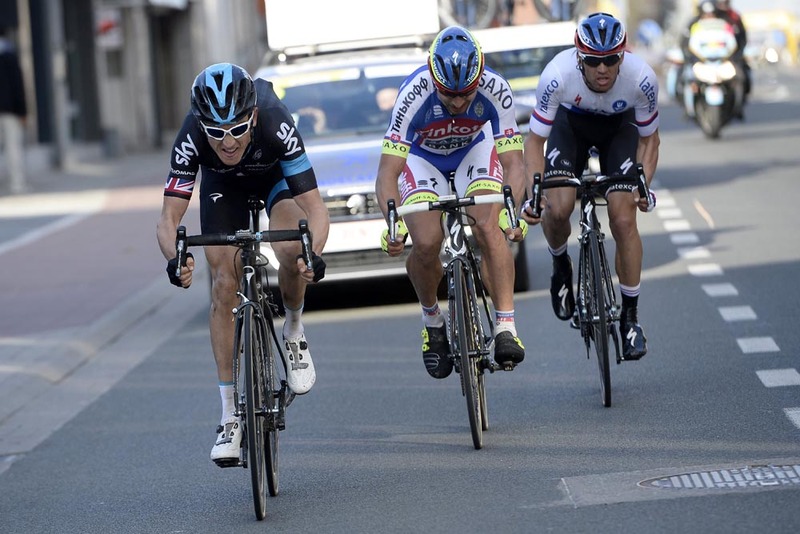 Ghent-Wevelgem 2015: Who will win? Ghent-Wevelgem on Sunday, March 29, is the first of three big, consecutive weekend races in Northern Europe. Unlike the following Tour of Flanders (April 5) and Paris-Roubaix (April 12), Ghent-Wevelgem more favours a sprint finish and gives the fastmen a chance for glory in a cobbled classic. John Degenkolb, Giant-Alpecin Fresh from a career-best win at Milan-San Remo last week, Degenkolb returns to the race he won in similarly impressive style last year. Few races on the calendar are better suited to the German than this one – the bergs should be too much for the pure sprinters, and the long flat stretch to the finish line should ensure a sprint finish. Alexander Kristoff, Katusha After a blistering start to the season, the last week or so has been characterised by near misses for Kristoff – first being edged out into second at Milan-San Remo by Degenkolb, then looking on in frustration as his group failed to catch Geraint Thomas and Zdenek Stybar at the E3 Harelbeke, therefore denying him the chance of sprinting for the win. He clearly still has very good form though, and would be outright favourite were it not for Degenkolb’s presence. Mark Cavendish, Etixx-Quick Step With Boonen missing the race through injury, Cavendish gets the chance to add to his palmares one of the few major career goals he has yet to achieve. If he can avoid getting dropped he’ll be the favourite in a bunch sprint, but will have to impress on the bergs to prevent Etixx switching their strategy towards plan-B options Zdenek Stybar and Matteo Trentin. 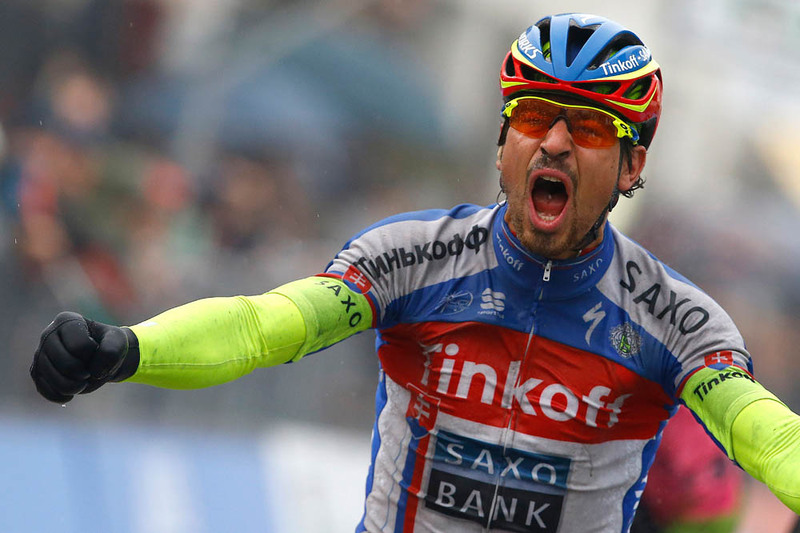 Peter Sagan, Tinkoff-Saxo With 4km to go in yesterday’s E3-Harelbeke it looked as though Sagan had reached top form and destined for victory. But then Thomas attacked and he was unable to follow, eventually being swallowed up by the bunch and finishing way down in 30th. The eventual result was certainly disappointing, but at least Sagan showed good legs over the cobbled climbs. Arnaud Demare, FDJ Having crashed out of Milan-San Remo, his first major goal of the season, Demare is looking to get back on track at the Ghent-Wevelgem. He has the necessary attributes for this race and finished second last year behind Degenkolb, but his form isn’t great – victory here would be his first of the season. Sep Vanmarcke, Lotto-Soudal The general consensus is that Vanmarcke has been one of the strongest riders throughout the spring, but as yet the Belgian does not have a single podium finish to him name. Despite being renowned for his powerful attacks over the cobbles, Vanmarcke is also a very handy sprint, and should not be written out of contention if a bunch finish does culminate. That said he’s still likely to stick to plan A of trying to ride everyone else off his wheel, but he’ll need support if he’s to make it to the finish. Geraint Thomas, Sky The Briton’s superb win at the E3-Harelbeke outlined him as one of the men to watch over the rest of the classics season, but he’ll probably hold back until the Tour of Flanders next week. Expect him to play more of a support role for sprinter Elia Viviani. Greg Van Avermaet, BMC Just as Van Avermaet’s form appeared to be reaching a career-high, a nasty looking crash at the E3 has plunged the rest of his spring into doubt – although he did manage to get back on his bike to finish. His BMC team has taken it upon itself to animate races through the spring, and will need to do so again to prevent the sprinters grabbing the glory. Jens Debusschere, LottoNL-Jumbo Although Andre Greipel is Lotto’s star sprinter, Debusschere may represent a better chance at success due to his superior ability over the cobbles. At 25 he is improving all the time, and beat a strong field to win a stage at the Tirreno-Adriatico. Victory here may be beyond him, but a top five is certainly within his grasp.